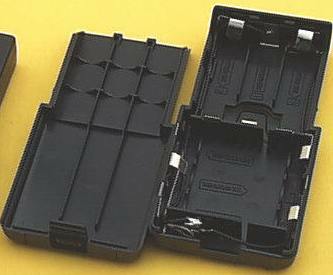 BT-32 : Alkaline Battery Case for KENWOOD. Special design; holds 6 x AA battery cells, for instant high-watt power ! Fits Kenwood radios such as TH-22A, TH-22E, TH-42A, TH-42E, TH-79A, TH-79AK, TH-79AKSS, TH-79E, etc. Load with 6 x AA Alkaline AA batteries for instant High-Watt TX power! This case extends the radio length by about 2". Battery cells sold separately. BONUS FEATURE: The BT-32 includes a built-in charging jack for re-charging NiCd & NiMH AA cells when used in the case ! 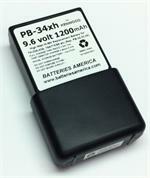 (The specific plug-in charger for this application is the WC-BT32 wall charger - sold separately). Safety reminder: As always, NEVER attempt to re-charge Alkaline batteries.